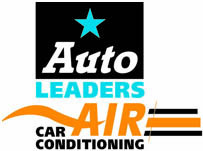 Bring your vehicle into Auto Leaders for an Air Conditioning Systems Check! Environmental concerns with Air Conditioning: Refrigerant used in most air conditioning systems is considered harmful to the environment. It is important that it not be allowed to escape during a service to the vehicles air conditioning unit. At Auto Leaders we begin each service with an air conditioning leak detection test. Our technicians use a sealed, environmentally friendly process that captures the refrigerant, replaces it and returns your vehicles air conditioning system back to its original condition. To maintain your vehicles air-conditioning in good working order Auto Leaders recommends an air-conditioning systems check every two years prior to the warm weather months or anytime it isn’t working to your satisfaction. If you notice any of these problems it’s time for an auto air conditioning service.